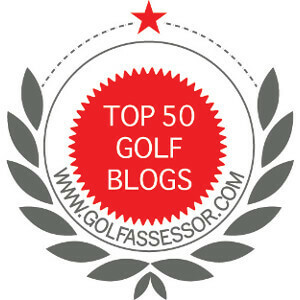 Is a Landing Area Important in Golf? You are playing well and unfortunately you approach shot has left you 15 yards short of the green. A difficult up and down will leave you with your lowest score of the year. It is now time to put all your long practice around the green to work. The next and important step is to determine which shot to make. Shall it be a flop, chip, pitch, or bump and run? The many variables have you thinking about which approach will be best and so the process begins. You will often see a pro or an experienced player walk to the edge of the green as they work through the mental process of making a decision. The look at the break on the green, the grass on the fringe and the length of the grass between their ball and the green. Yet, what are they really looking at? Once they select the type of shot, all of their focus turns their landing area. They do not care about anything but landing their ball exactly on the spot they selected. The landing area is that one spot that determines the results of their upcoming shot. So it requires the complete attention. Interestingly, the landing area will vary depending on the club selection, the its importance never wanes. Before we go forward, the other school of thought is to select the same landing point, about 5 feet on the green, and change the club being used to increase the flight to release ratio. I used this technique early in my career with great success. However, I found that it was limiting my game because it was not flexible enough for all the complexities I encountered on the links. Back to the varying landing area. I find it is critical to my success to select a very specific point to land the ball throughout my short game. The aim point helps provide that single thought that aligns all of my swing actions. When I take my practice swings, I zero in on my landing area, visualizing my exact shot! Selecting a landing area is influenced by the club in hand. The closer the landing area is to the pin, the higher I intend to launch my ball in the air and hopefully with very little release. The further from the pin, just the opposite. Selecting my landing area one of the most important aspects of my short game….often forgotten when I play a regular round. Selecting the proper landing area is critical to low golf scores. It is something that most amateurs overlook because they focus solely on the pin. They believe that the pin is the most important aspect of their next shot and do not understand the continuous failing results. Eventually, they will realize that the landing area is the key to low golf scores and shift their focus to it. Next time you are 15 yards off the green, focus on your landing area. You will be very happy with the results. My instructor is starting to work with me on this as I seek to improve my short game performance. I appreciate you sharing the impact and it’s limitations for your game. My sense is the degree of focus it will provide for me will help me improve in an area of need. The journey never ends for those of us trying to be better golfers. I am glad my journey was helpful to you. You can do anything you want, sometimes it just take patience and perseverance. I started focusing on this 3 seasons ago and even on longer approach shots i focused on hitting the front of the green rather than looking at just the pin or the center and this change of thought process helped me enormously. I would guess that is successful since you are using this technique 3 years later. It really works! Great entry today. It really is no different than putting when you putt, you don’t putt straight at the flag, you putt to spot which will facilitate the ball rolling into the hole. Same applies to chipping and even to some degree hitting from 200 yds out. If the front of the green is soft you need to fly it into the green not run it up. Or if it’s hard you can run it up to the flag. Playing the right landing location is critical. But you do need to practice this thinking and practice the execution. Is it bump into a bank to kill speed or is it fly it to the hole and let the ball release. This game gives us much to think about. Absolutely, selecting the right landing area with correct club is a fantastic skill to have, but we must practice this skill. Also, understanding the conditions and how the ball will react once hitting the ground goes a long way to shooting low scores!